Имате въпрос към Villa Kendi? Разположен на централно място в Калибару, Kendi Villas and Spa е идеално начало за Вашaта екскурзия из Банйууанги. Хотелът се намира на 46.9 km от центъра на града и осигурява достъп до важните места на града. Рай за почивка и релаксация - хотелът предлага пълна отмора само на няколко крачки от многобройните забележителности на града като например Air Terjun Antrokan Waterfall. Прави се всичко възможно гостите да се почувстват удобно. Затова хотелът предоставя най-добрите услуги и удобства. Най-важните съоръженията на хотела са 24-часова рецепция, експресно настаняване/напускане, съхраняване на багаж, Wi-Fi връзка в общите части, паркинг. Дизайнът на хотела е съобразен с най-високите изисквания за удобство и комфорт, осигурявани от съоръжения достъпни в някои стаи като телевизор с плосък екран, допълнителна баня, висок стол за деца, стойка за дрехи, безплатно разтворимо кафе. Независимо от това, дали сте фен на фитнеса или просто търсите начин да отпочинете след уморителен работен ден, в хотела ще намерите най-висококачествените съоръжения, такива като открит басейн, градина. Kendi Villas and Spa е идеално място за туристи, търсещи чар, комфорт и удобство в Банйууанги. Nice view and nice place to relax..
Really nice hotel in between the river and the town. There is not much going on in Kalibaru but Villa Kendi is worth a stop in itself. Yanti the manager is really friendly and helpful and the hotel is a good place to relax. We were only here for one day during our travel from Bromo to Ijen to be able to relax for one night - the perfect choice as it turned out to be a little oasis of peace! We definitely did not want to leave. From the moment you arrive, you are welcomed by a lovely host and her absolute fantastic design. Everything is selected carefully and oh so pretty! We were in paradise! And the breakfast! We had lovely egg, toast, pancake and fruit - the best part was simply amazing passion fruit juice fresh from the garden! We cannot stop gushing over this stunning place! Go there! It's a really nice hotel. It is such a wonderful place to stay. 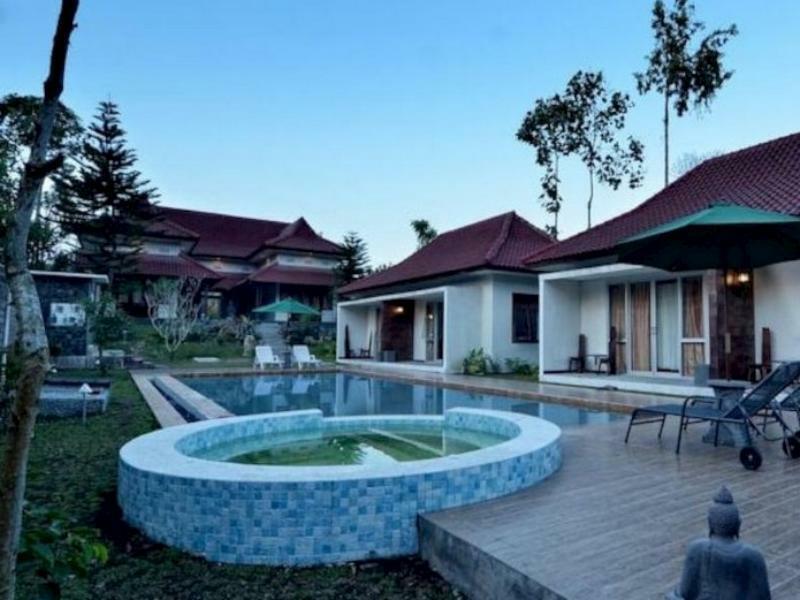 If you are happen to be around this area, kalibaru, banyuwangi, kawah ijen, mount bromo, don't forget to sleep at vila kendi. They give you peace of mind with reasonable price yet you get high class architecture and world class design interior and exterior with home feelings so you really can relax yourself. Enjoy your time there and be grateful. You can order lunch and/or dinner there so you don't need to search outside food. It is really a place to look again inside yourself, be quiet, be content, a place for you to think about life, what you are going to do next, and many more. I'm really blessed to ever taste their service. The friendly welcome, until I leave the hotel Ibu Yanti was really extra ordinary friendly , caring and helpfull. Great service, facility, view, all is compactly PERFECT. So I can Only say Highly Recomended!!!! It was quite hard to locate this place and you have to make this turn into the village. I would not believe my eyes when I got there. It's like a hidden paradise in the countryside. 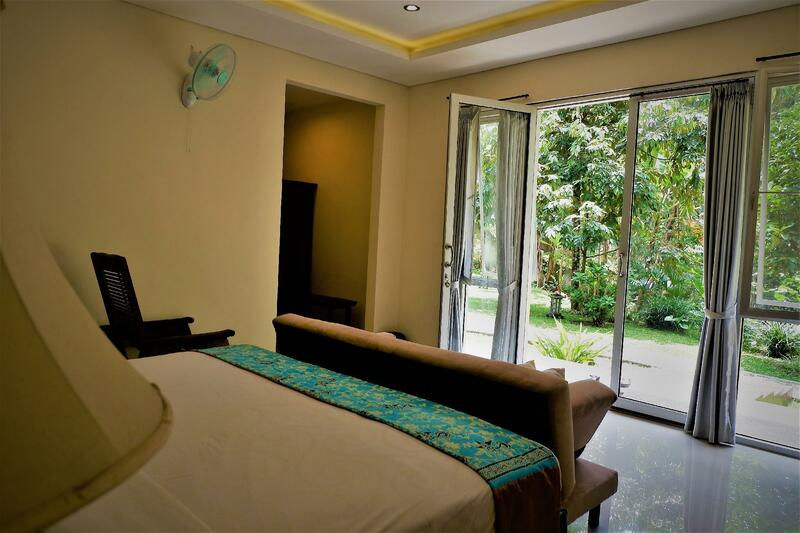 We had a fantastic 3 night stay in Kendi Villas after travelling from Bromo. The facilities were excellent with a great pool and sunloungers which we were happy to relax on after our early start from Bromo. We were able to organise a trip to the Ijen Crater which was a highlighting experience; absolutely breath-taking! We ate in the restaurant every night, although a small choice, the food was reasonable and they served Bintang! The staff were particularly helpful, especially the one English speaking lady who simply could not do enough for us. I would highly recommend this place with its large, clean rooms and comfortable beds. The place is amazing. Secluded, quiet, running river beside, clean, amazing staff. Only downside is that the heater has a mind off its own, it alternates between scalding and freezing. The staff is attentive and nice. Very nice place, amazing views and great staff. Very unconvenient the policy of no guest in the common areas after check out and no leaving bags in the place after check out. 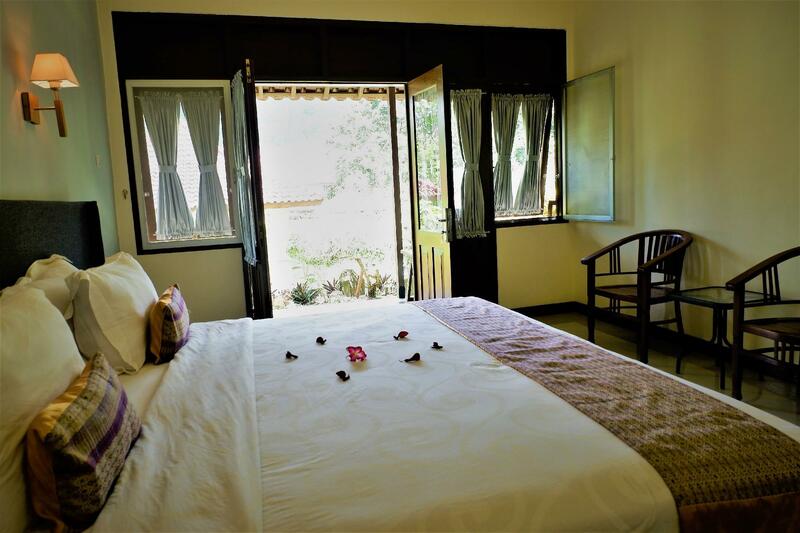 Kendi Villas and Spa is located in a very quiet and beautiful area. It is easily reached by train via the Kalibaru train station. From there you can take a motor bike or a horse wagon to the hotel. We found it very realxing adter visiting Mount Bromo and Ijen since we got up very early the nights before. There is also a tour guide available who can show you around (e.g. plantations). The food was very good and we used the pool a lot. As quite everything in this part of Indonesia, you can't do anything without a car/driver. Hopefully kitchen is great and you can have good food on the hotel terrace overlooking a breathtaking scenery with the distant roar of the nearby river. The hotel is quite small and we had the luck to be alone with my friends (We booked 4 rooms) during our stay, so we really felt at home. The place is really pretty (Except the broken glass on top of the walls...) and help to set you in a peaceful and relaxing mood. Staff is very helpful and caring, and can help you arrange anything you need for your stay (Food, massage, guide, transport). Really good experience overall (just be careful of the omnipresent ants that will raid any unprotected food). professionalism and friendliness of Ibu Yanti. Next, cleanliness above most small hotels in the region. Lastly, breakfast quite sumptuous and we could even order things not on the menu. The stay at Kendi was very comfortable. The only improvement would be if there was airconditioning in the room. Although it is quite cool outside , inside the room is slightly clammy. I enjoy my stay. Recommended place to rest and relax. Just one thing to add, there should be a big sign so it's easy for us to reach it. The small road in front of the billa need to be fix.